Natasha embarks upon the holiday of a lifetime with her brother, looking forward to exploring the ancient sites Egypt has to offer. 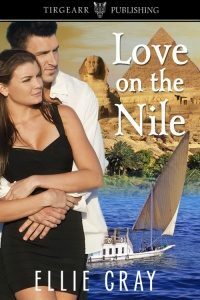 What she hasn’t bargained for is spending her holiday cruising along the Nile with Kyle Richardson, a handsome but moody archaeologist. Despite taking an instant dislike to Kyle, Natasha finds herself increasingly drawn to the man, particularly as his interactions with her brother reveal a gentler, more caring side to his character. Having lost everyone he has ever loved, Kyle is a loner, believing himself to be cursed. He now spends his life moving around Egypt, ensuring he never lingers anywhere long enough to form meaningful attachments. Despite his better judgement, he finds himself drawn to this feisty young woman, but is afraid of the deeper feelings she stirs in him. Can his feelings for Natasha convince him that it’s worth taking a risk on love?